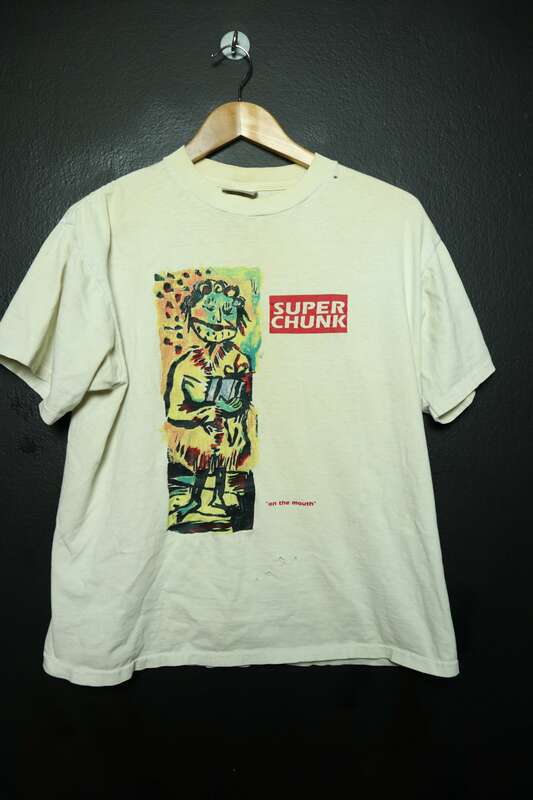 Superchunk On The Mouth 1992 Vintage Tshirt, size large, made in the USA. 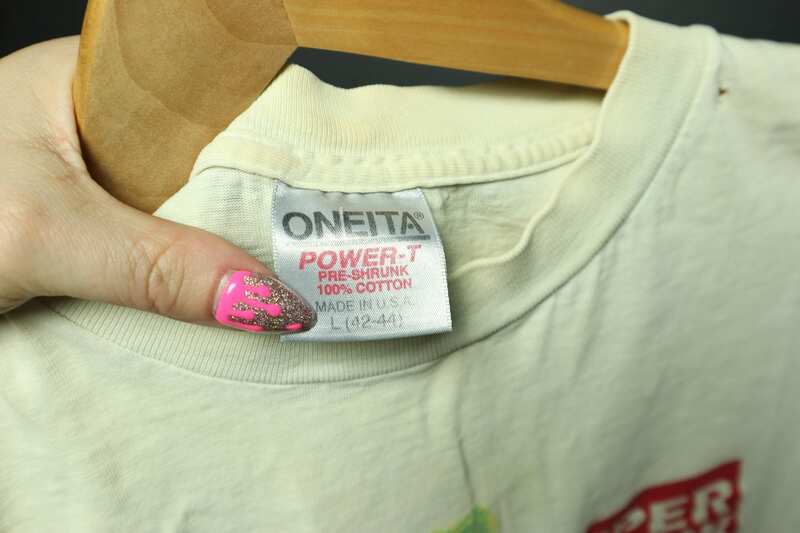 This shirt is in vintage condition with some fading throughout and some cracking and fading on the graphic. 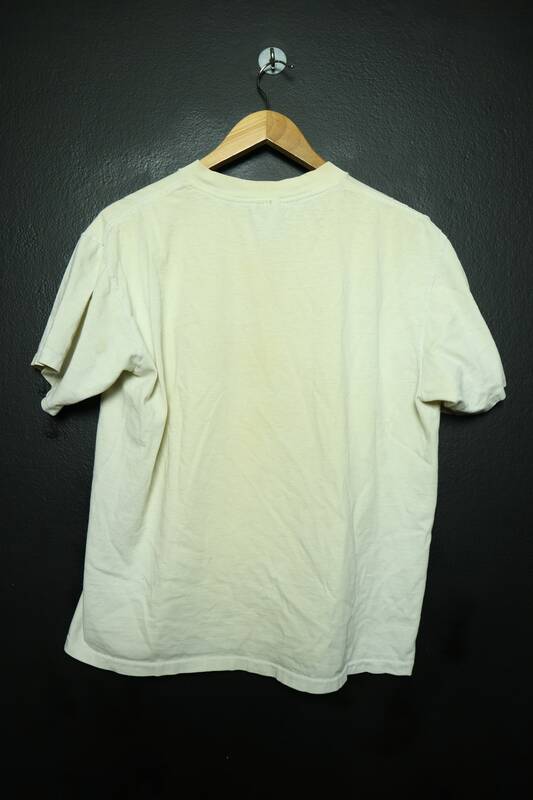 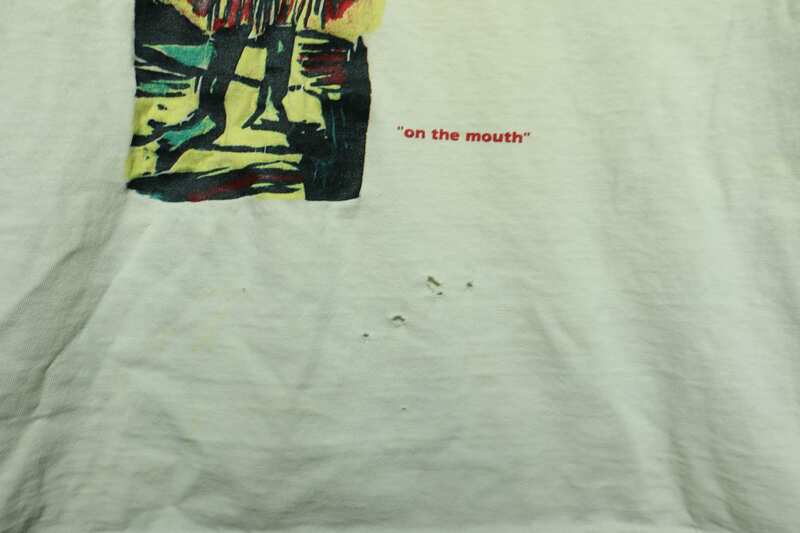 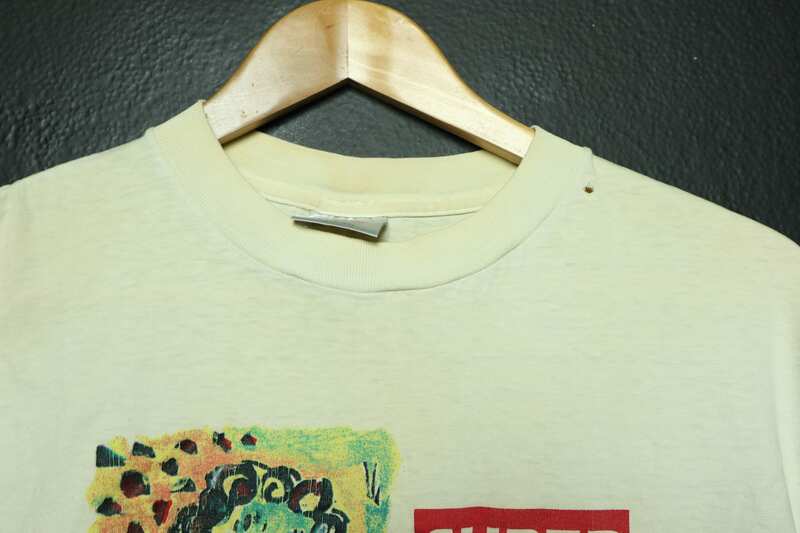 Holes as pictured and there is yellowing throughout the whole shirt/collar.